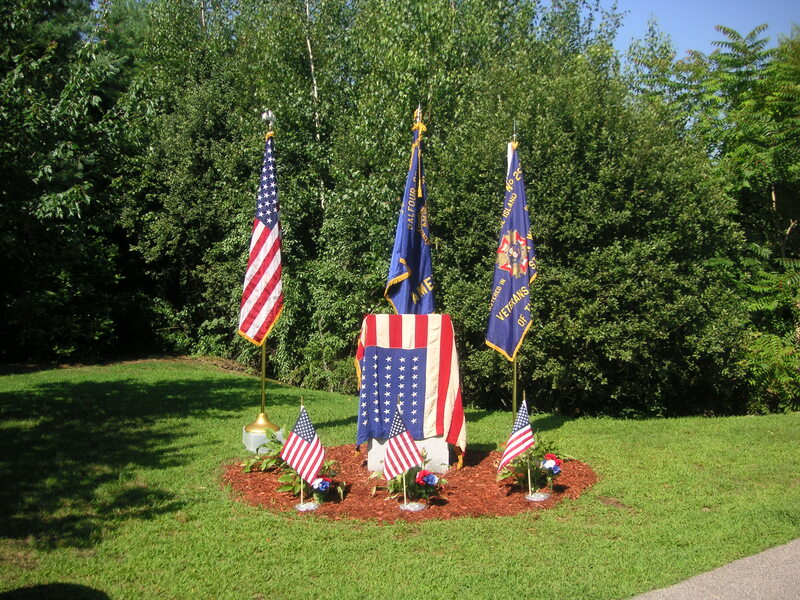 Two memorials were constructed to honor the men who lost their lives. 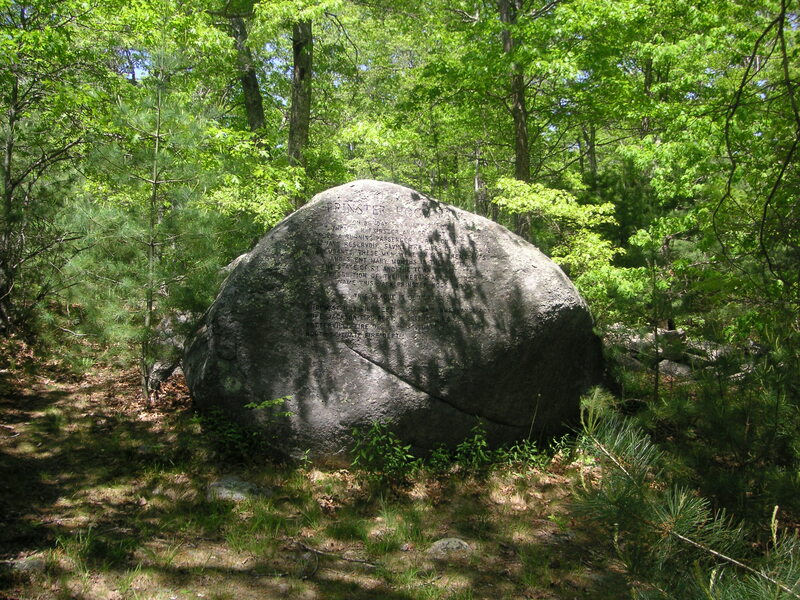 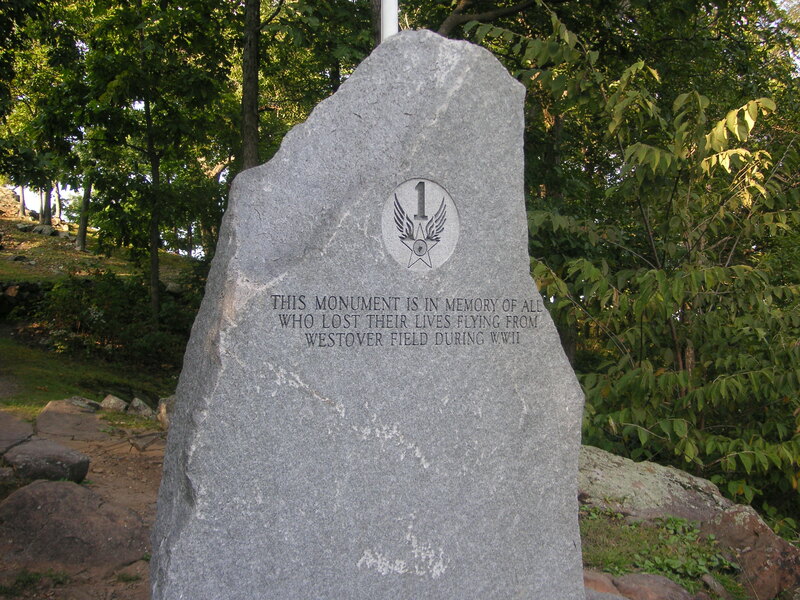 The first was erected in Deerfield Park, in the Greenville section of Smithfield, Rhode Island. 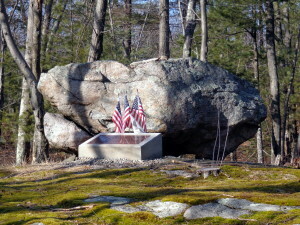 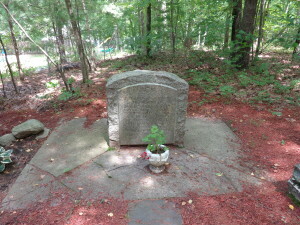 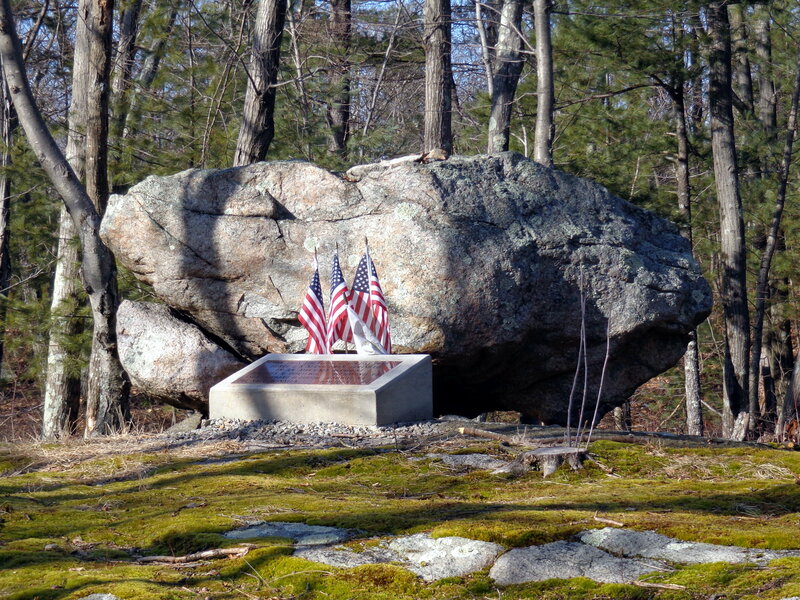 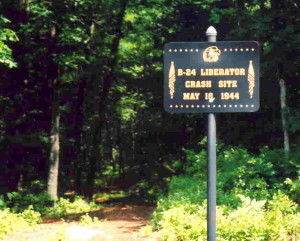 The second was erected at the crash site on Wolf Hill in the Georgiaville section of Smithfield. 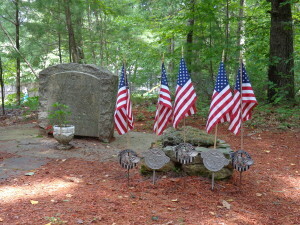 Memorial to three servicemen killed in a plane crash Aug. 5, 1943, Deerfield Park, Smithfield, R.I.
On May 27, 1944, a B-24 J left Westover Field and struck the side of Mt. 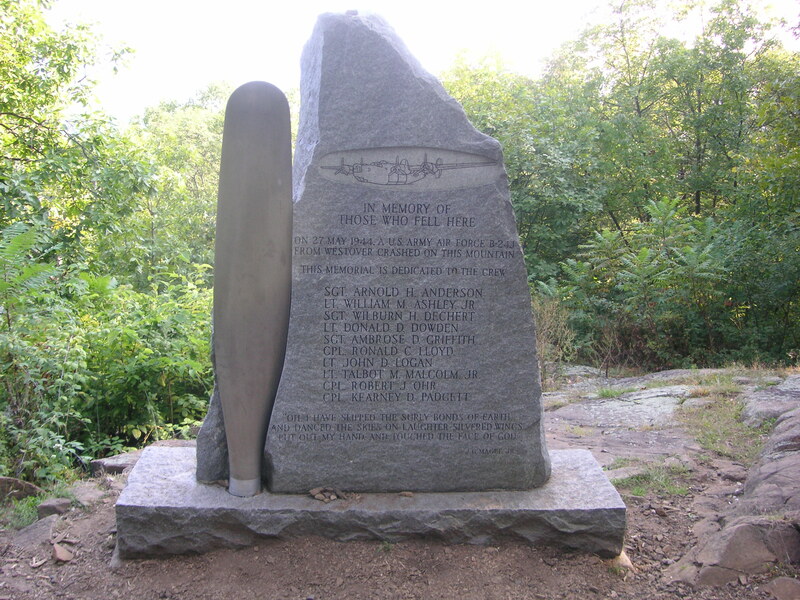 Holyoke. 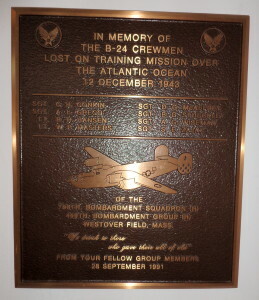 All ten crewmen aboard were killed. 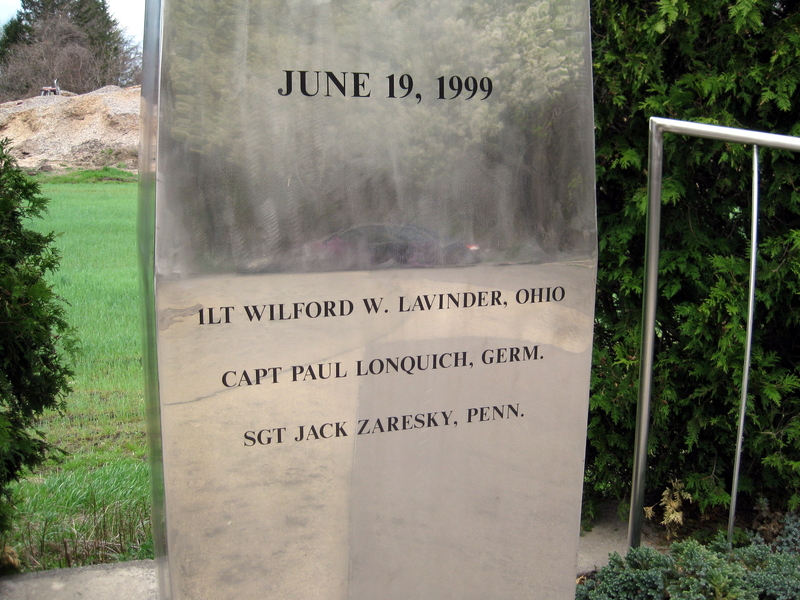 In may of 1989 a memorial was dedicated to honor those who lost their lives. 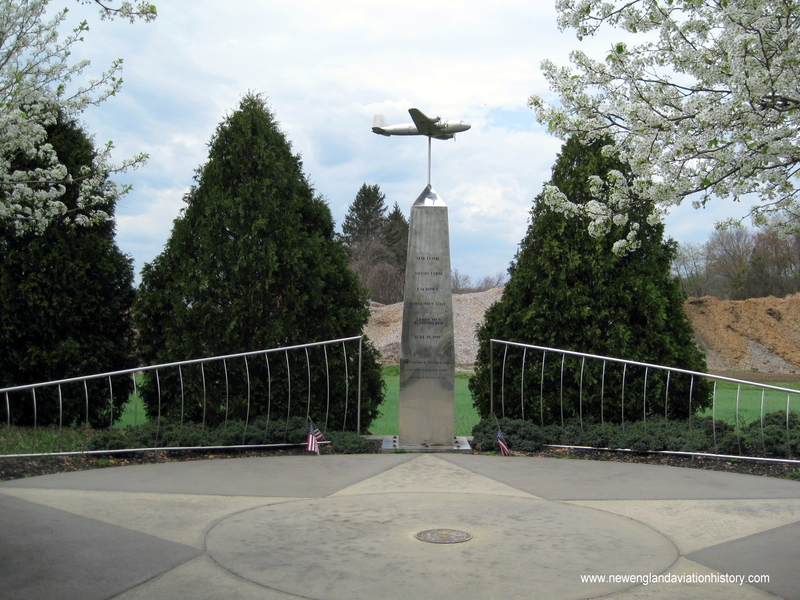 For more information see an article written by Stan Freeman titled, “Lost Airmen Get Final Tribute” – The Sunday Republican, May 28, 1989. 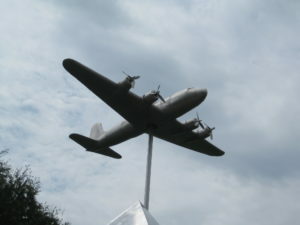 Mount Holyoke, Massachusetts, B-24 Memorial. Chester M. Spooner was a native of Pawtucket, Rhode Island, and former publisher of the (Pawtucket) Evening Times, who was very influential in helping to make North Central Airport a reality. 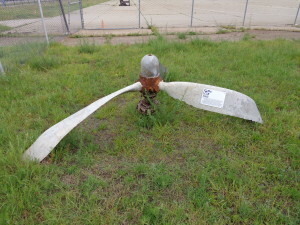 For more information about North Central Airport, see “Forgotten Tales Of North Central Airport” under Articles on this website. 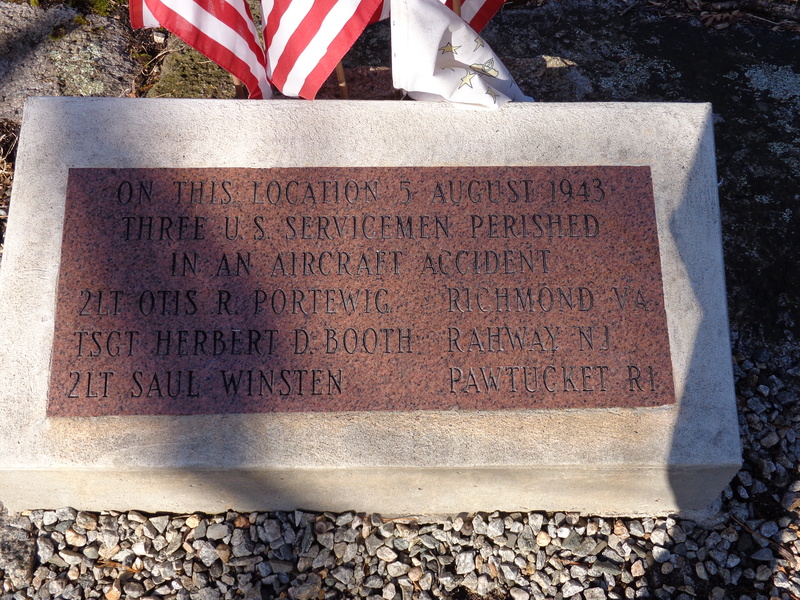 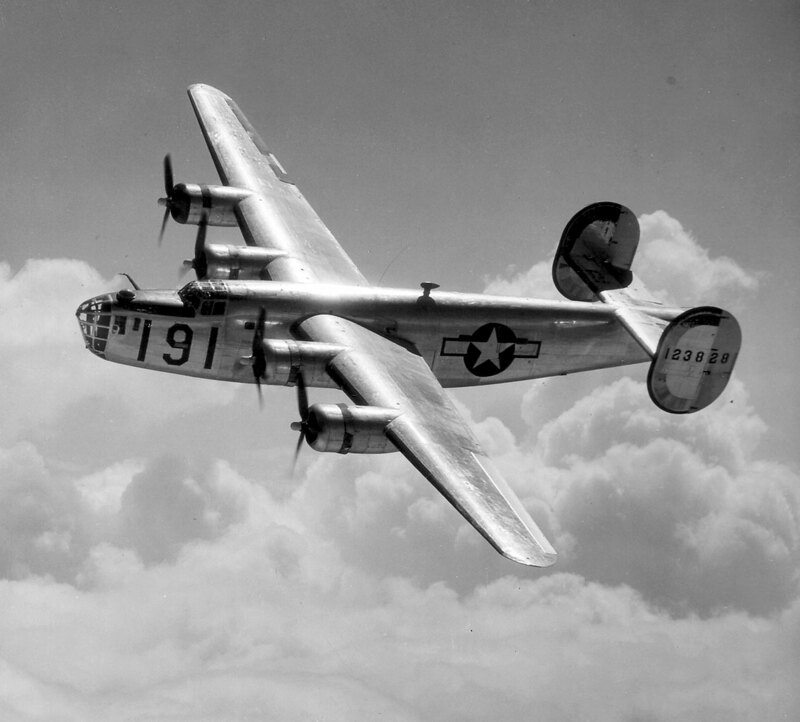 On May 18, 1944, a B-24 Liberator crashed in Uxbridge, Massachusetts, killing all crewmen aboard. A memorial now exists on a two-acre parcel of land in the middle of a housing development where the bomber crashed. 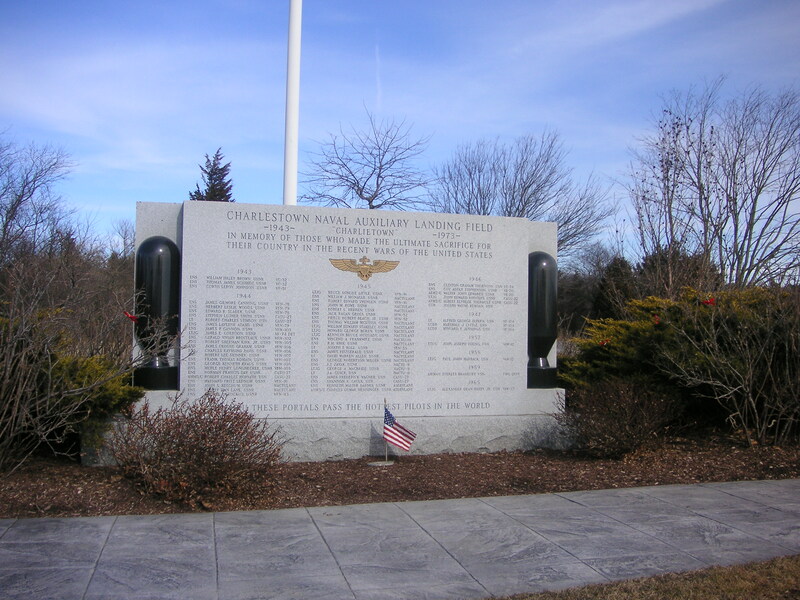 For more information, see “The Uxbridge Bomber Crash” under “Aviation Accidents -Massachusetts – Military Accidents” on the website. 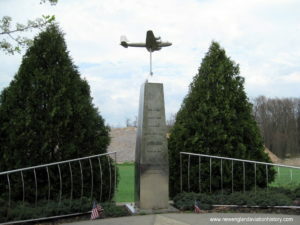 Memorial to those who lost their lives in the Uxbridge Bomber Crash – May 18, 1944. Pathway leading to the Uxbridge Bomber memorial. 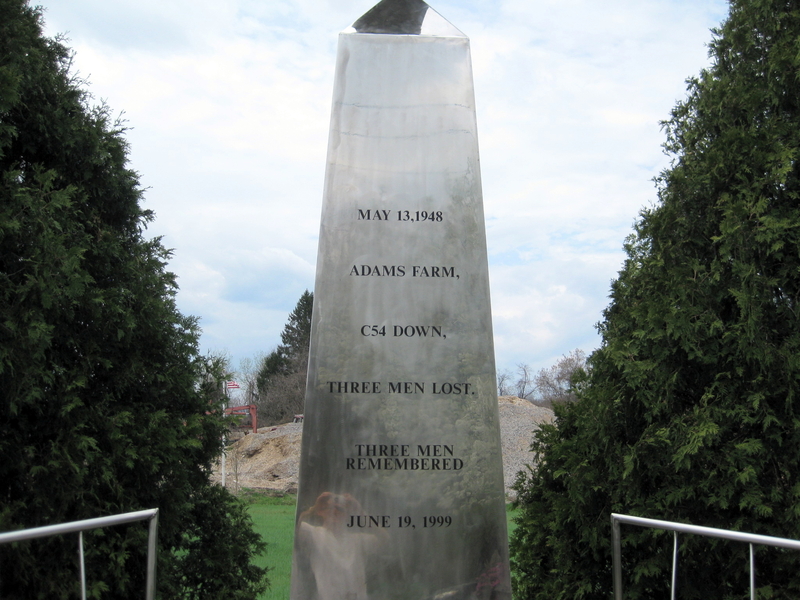 Marlborough, Mass. 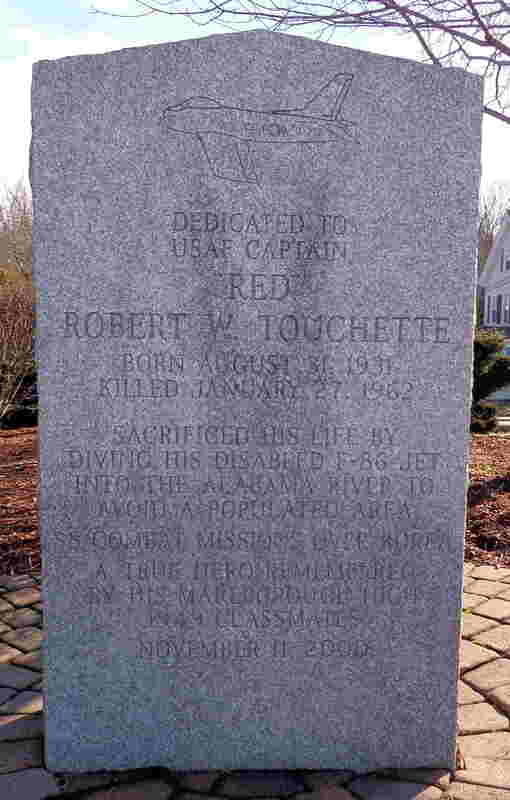 – Dedicated to the memory of USAF Captain Robert W. Touchette. 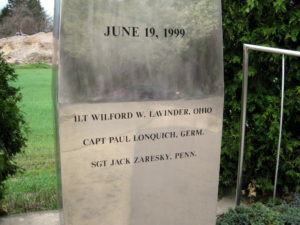 Lt. Jg. 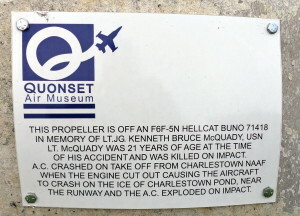 McQuady was killed on March 2, 1945, when his F6F Hellcat crashed on takeoff from Charlestown Auxiliary Air Field in Charlestown, Rhode Island. The propeller from his Hellcat was donated to the Quonset Air Museum in his memory. 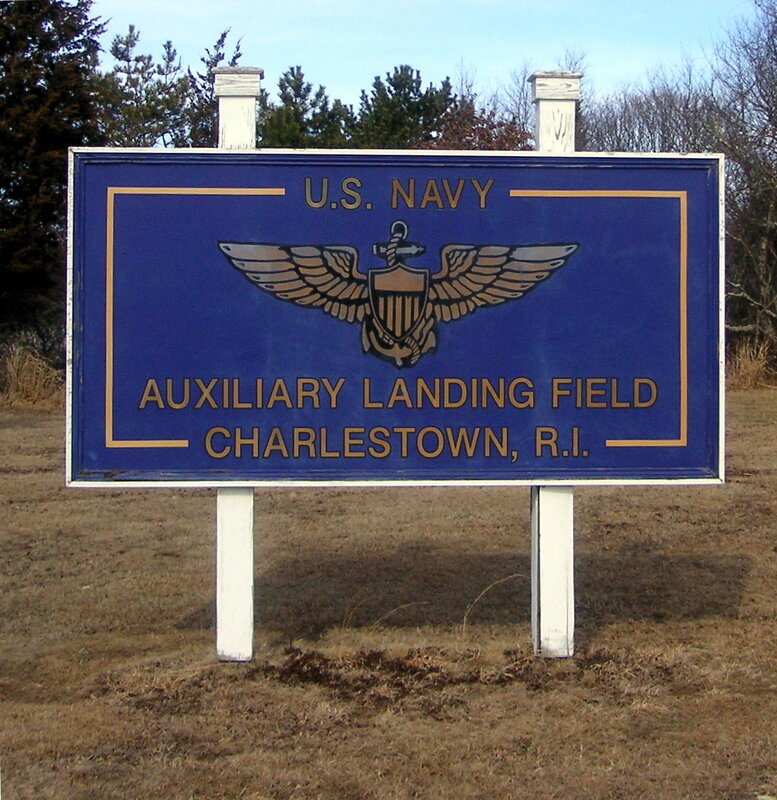 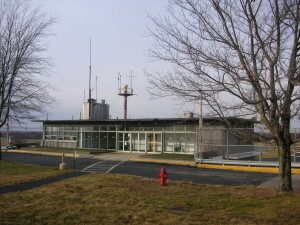 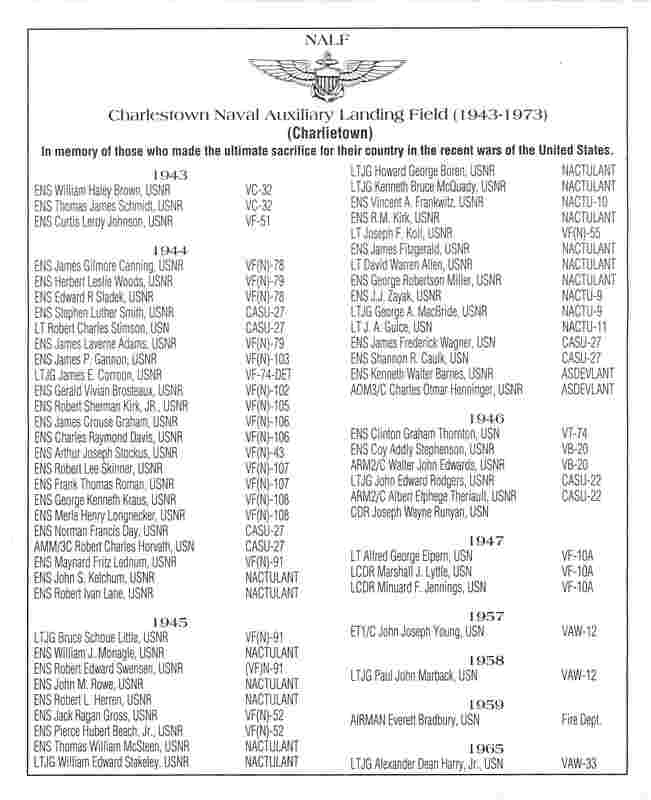 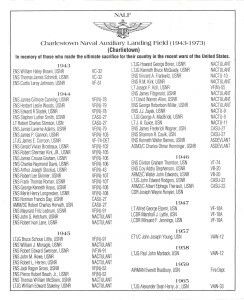 Charlestown Naval Auxiliary Field began operations in September of 1943. Ensign George H. W. Bush trained there in 1944. 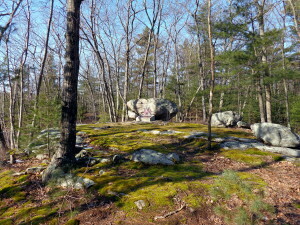 The field was decommissioned January 30, 1974, and is today known as Ninigret Park. During its years of operation, 62 airmen lost their lives in accidents at the field. 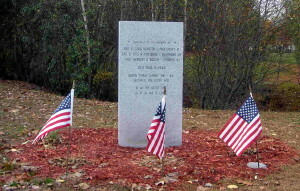 Memorial to the 62 men who lost their lives at Charlestown Auxiliary Field, Charlestown, R.I.
Names of those on the memorial. 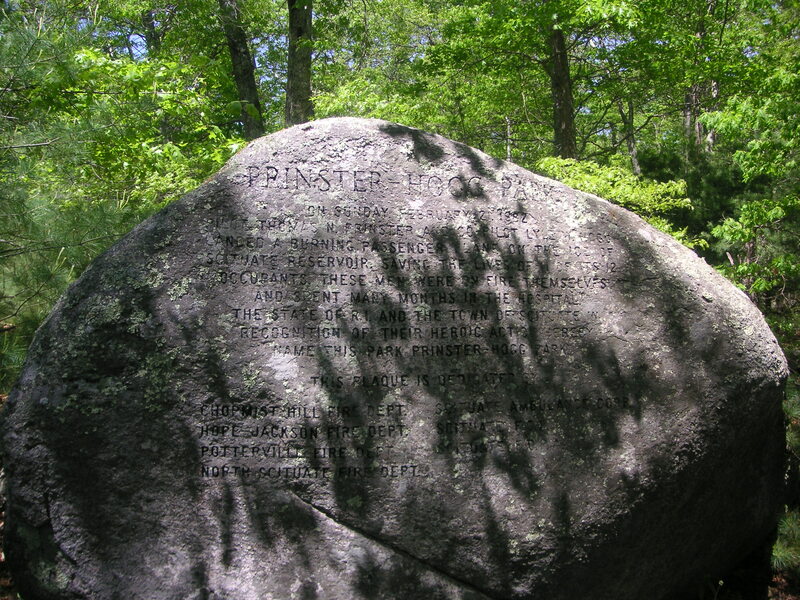 Prinster-Hogg Park – Scituate, R.I.
A View of Prinster-Hogg Park, Scituate, R.I.
On February 21, 1982, Pilgrim Airlines Flight 458 took off from New York’s La Guardia Airport bound for Boston carrying several passengers and a crew of two; the pilot, Thomas N. Prinster, and co-pilot, Lyle W. Hogg. 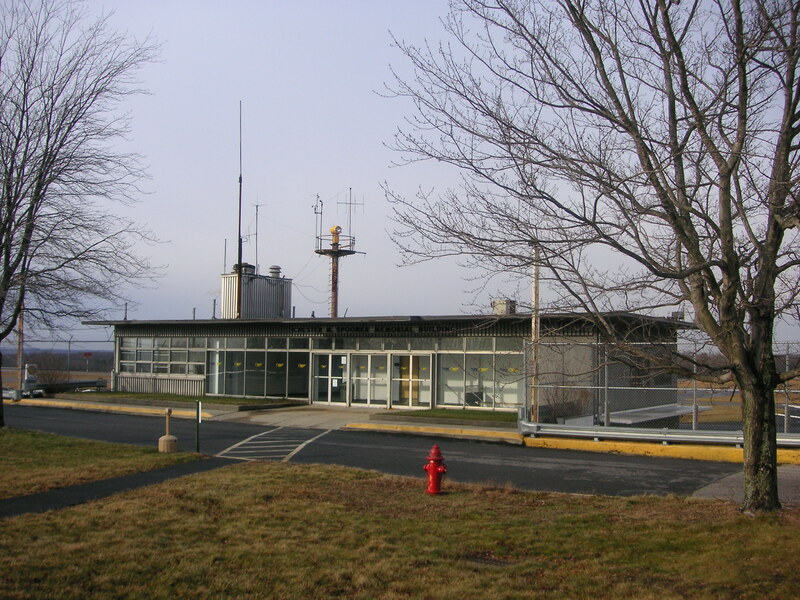 As the plane was passing over Rhode Island a fire erupted in the cockpit due to a malfunction with the alcohol-fed de-icing system. 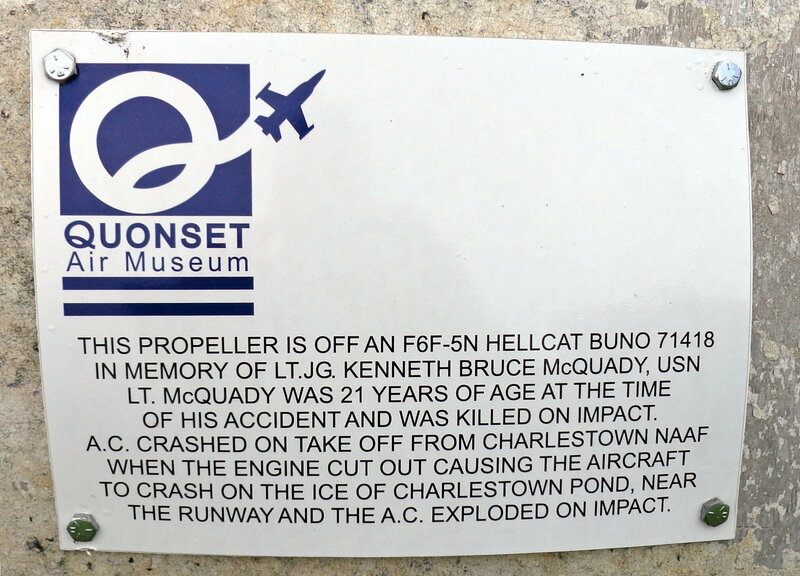 As flames burned their clothing away, and smoke choked their lungs, Prinster and Hogg remained at the controls and successfully brought the plane down for a crash landing on the frozen Scituate Reservoir. 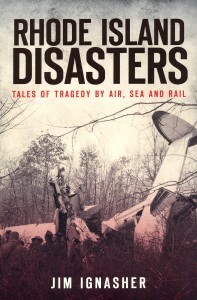 Though badly burned themselves, they assisted the passengers from the burning wreckage and led them to safety at the shore. 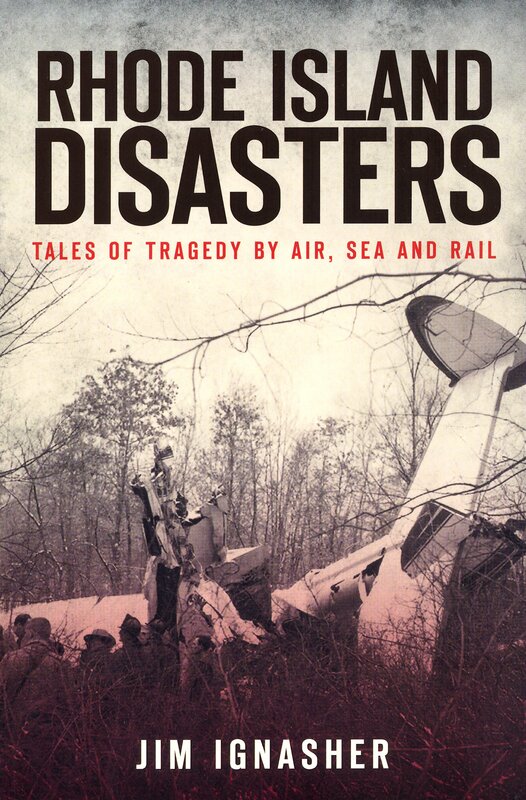 One passenger was lost, but the outcome could have ben far worse. 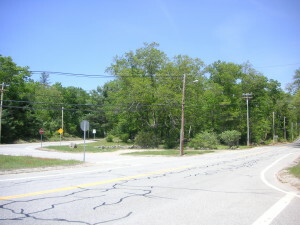 Today a memorial to the incident can be found in Prinster-Hogg park located at the intersections of Routes 102, 14, and Rockland Road, (Known locally as “Crazy Corners”.) 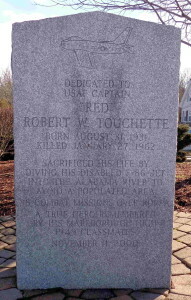 in Scituate, Rhode Island. 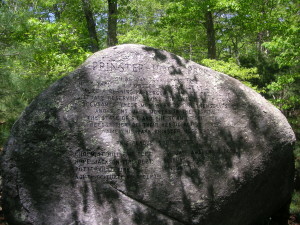 Prinster-Hogg Park, Scituate, Rhode Island.